The subject of poo is one that is hard to take seriously. At its mention, people usually either go red with embarrassment or head in the other direction and start belting out poop jokes left, right and center. What we don’t realize, however, is that examining our own poop and the poop of our ancestors can provide valuable indicators of our health and what we can do to improve it. By analyzing fossilized human poo, otherwise known as coprolites, researchers have done just that. During the process of examining poop from our paleolithic ancestors, scientists have found that early humans had a diet rich in fiber. And the source of this fiber? Plants. It has been estimated that the amount of plants consumed by our distant relatives was similar to certain present-day non-Western cultures, such as rural China and Africa. So why are these findings of significance? For starters, they provide strong evidence to support the theory that ancient human diets were predominantly plant-based. Indeed, certain paleo poops containing an overwhelming majority of plant remains date much further back in history than the advent of stone tools used for butchering animals. This suggests that plants comprised the staples of our diet long before meat-eating came into play — slightly at odds with our popular conception of the average caveman sitting around a fire eating a great haunch of dripping meat. By mapping the absorptive mucosa gut area in relation to functional body size of early humans, researchers are able to determine whether they were predominantly frugivorous or folivorous. Frugivores are animals designed to primarily consume fruit, while folivores are better accustomed to eating and digesting leaves. Based on these guidelines, humans can be considered to be predominantly frugivorous, meaning that while greens and meat are still important, fruits comprise the largest proportion of our nutritive needs. In the study of evolution, one thing is certain: Change is a very slow process. As a species, we cannot suddenly jump from thriving on a predominantly plant-based diet to thriving on a diet comprised mostly of processed foods and grains. And yet, in the United States and other Western countries, that is exactly what has happened. Since the industrial revolution and the advent of mass production, our consumption of whole fruits and vegetables has rapidly declined, such that the average American diet provides less than 20 grams of fiber per day. This is compared to estimates of paleolithic fiber intake, which was up to 100 grams per day. That’s a drastic reduction in daily dietary fiber. The results of this diet shift are all too apparent. Obesity is now widespread throughout Western countries, and subsequent disease and autoimmune illness has skyrocketed. This is unsurprising, considering that it is assumed that the body’s mechanism for controlling appetite has evolved based on how many plants, and thus fiber, we eat. With an average reduction in daily fiber intake of around 500 percent, our appetites have become insatiable, as our bodies have not been able to recognize what is food and what isn’t. Alternatively, in the rural areas of China and Africa, for example, many of the the chronic diseases that plague modern-day Western countries are almost unheard of. This is likely due, at least in part, to the far greater role plants play in their diets. Similar to our paleolithic ancestors, their daily fiber intake is close to 100 grams per day, meaning they eat less, gain more nutrition from what they do eat and are less likely to become overweight or suffer from other forms of illness or disease. The message is simple: Eat a more natural diet and reap the benefits. Still not convinced that eating more plants is worth it? Read on to find out how eating more fruit and vegetables can drastically lower your risk of stroke. Hey Buddy!, I found this information for you: "What Paleo Poop Can Tell Us". 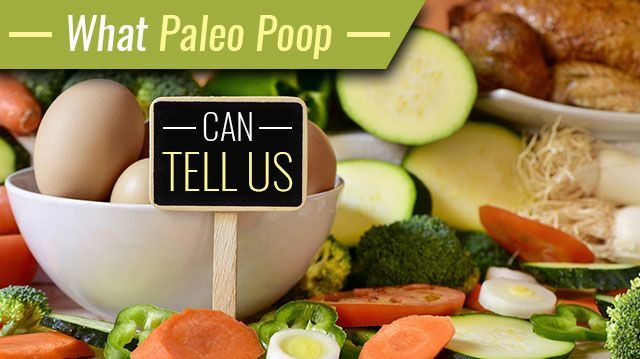 Here is the website link: https://www.thealternativedaily.com/what-paleo-poop-can-tell-us/. Thank you.